Last week a Twitter campaign was launched in America by three women who encouraged other women to ‘Shout Your Abortion’. The aim of the campaign is to help end the shame and stigma surrounding abortion. Many women have been sharing their stories under the hashtag #shoutyourabortion and, yet again, opinion is fiercely divided. Well forgive me for not shouting. Instead, if it’s all the same to you, I’ll weep. I’ll weep for so many reasons, but I won’t shout. I’ve tried that and it doesn’t work. Shouting alienates, hurts and often offends. Shouting in celebration is fine if everyone is at the same party. But there are many on BOTH sides of the debate who find the subject of abortion extremely hard to shout about. They also weep. Like the young woman I heard about recently who wept for her aborted baby. She made a choice. She regretted it. She now struggles with guilt and loss. She weeps and I weep for her. She needs understanding and acceptance, not judgement or finger-pointing from those of us who think there is a better way. She does not want to shout out her abortion. She is hurting. Deeply. Or my friend who longs for a child, but can’t have one and is now considering adoption. It breaks her heart like it used to break mine when she hears of another unwanted pregnancy ending so abruptly. She weeps. She respects their choice, but she weeps all the same. She does not shout. Or like the trainee midwife who told me she wept over the aborted twins, left in a bucket ready for disposal in the sluice. Whilst, in another hospital NICU, another set of twins were fighting for survival, aided by latest the medical technology. One set was wanted, the other was not. Choice. And I will weep for the 92% of babies found prenatally to have an extra chromosome who don’t ever get the chance to bring the kind of joy into the lives of their families that my daughter has brought us. I will weep for their parents and grandparents. They will never know what they have lost or “chosen” not to have. But I will still respect their choice. I will never shout at them or judge them for making it as I know how tough and scary it is when they are told their unborn child has Down’s. I understand their fears because I felt them myself. But I will still weep. I will weep for myself and my daughter as I recall being offered an abortion right up until the moment of birth if I so chose. I weep for the lack of value placed on her life by our society. I will weep for the women who think that this campaign is somehow a celebration of women’s rights. They are not helping the women that I know who have been deeply affected by this issue. Shouting is not doing anything to alleviate their shame, their suffering. And I will also weep for the damage that has been done by those who lack compassion for women faced with this decision. I am deeply ashamed of the way they have been treated. I will weep for those women who feel they have no choice. It’s rarely a black and white issue. Complex situations, heartbreaking decisions. No winners. No victory parades. Mostly just pain. So shout about it if you must, but allow me and others the dignity of holding this issue a little more tenderly. Allow us to gently weep, not shout. Allow us to talk these things through and find a way to help not hurt. Allow us to find compassion – both for the babies that are seen as so utterly disposable and for the women who find themselves facing this choice in the first place. 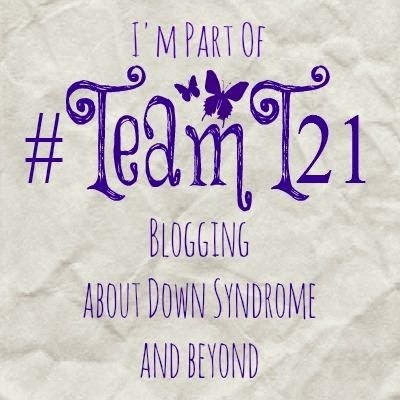 Categories: Abortion, Down Syndrome, Down's Syndrome, Prenatal Testing, Trisomy 21 | Tags: #compassion, #downsyndrome, #shoutyourabortion, #Team 21, #Trisomy21 | Permalink.